Just two weeks ago, Nebraskans who wanted to make money braiding hair had to undergo 2,100 hours of training to obtain a cosmetology license, which state officials say dedicates little time to natural hair braiding techniques. But now Nebraska Gov. Pete Ricketts, a Republican, has signed legislation into law that will lift arduous occupational licensing requirements on the state’s hair braiders. State Sen. Nicole Fox, R-Omaha, who introduced the legislation, said cosmetology licensing in the state requires nearly two years of schooling and costs $20,000 to $22,000 in tuition. Fox’s district is the third poorest in the state, she said, with a high number of single females. “For somebody who is a young single female, potentially a young single mom, who doesn’t have a lot [of] resources and is already struggling to make ends meet, cosmetology in the state of Nebraska is expensive,” Fox told The Daily Signal. Paul Avelar, a senior attorney at the Institute for Justice who helped draft Fox’s legislation, said that prior to the new law, an individual practicing hair braiding without an occupational license could face up to three months in jail and $500 in fines. If the braider continued to practice after receiving a cease and desist order from the state, he or she could be hit with a class III felony, which could subject an individual to four years in jail and $25,000 in fines. Fox and Avelar worked with Brandy McMorris, an Omaha natural hair braider, to create legislation that would exempt braiders from Nebraska’s strict licensing requirements. The bill garnered bipartisan support and passed the legislature in a unanimous 42-0 vote. “We came together and said, ‘This is something that people have done for centuries. Why is the government stepping in and trying to regulate this?’” Fox said. She said the government is often “too intrusive” and enacts restrictions that prevent people from earning an honest living. She hopes her bill, which Ricketts signed into law March 9, will empower female professionals to take risks, which she said will help build self-esteem. Salim Furth, a research fellow in macroeconomics at The Heritage Foundation, said more states should follow suit. Currently, 16 states, along with Nebraska, do not require any sort of license to practice braiding, Avelar said. Another 15 states require a specialty license to braid hair, which Avelar said ranges from obtrusive to simple depending on the state. 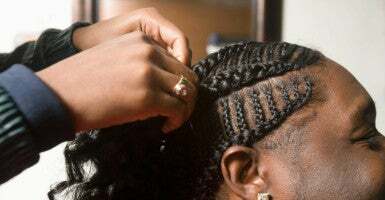 The remaining 20 states, along with Washington, D.C., have grouped braiding into the practice of cosmetology, beauticians, and hairdressers, he said, meaning that in those states, individuals have to have at least 1,000 hours of training before they can braid hair professionally. Furth said Nebraska’s legislature should continue to deregulate work in the state, where there is “no serious, proven risk” to public safety. 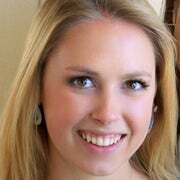 Natalie Johnson is a former Daily Signal news reporter and graduate of The Heritage Foundation's Young Leaders Program.